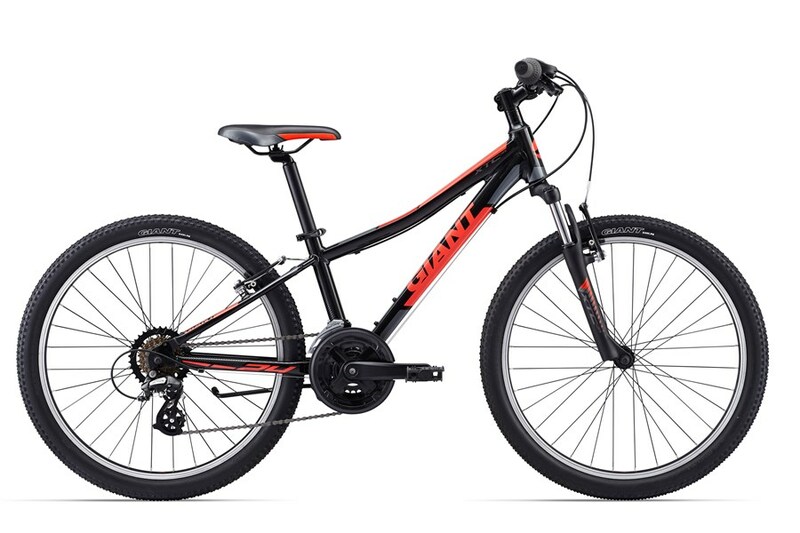 Small mountain bikes for kids in 20′ and 24′. Tag along bike in 20′. 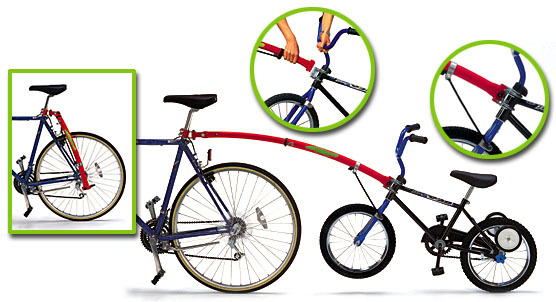 The Trail-Gator Bicycle Tow Bar converts an ordinary child’s bike into a safe, towable trailer bike, whenever desired. 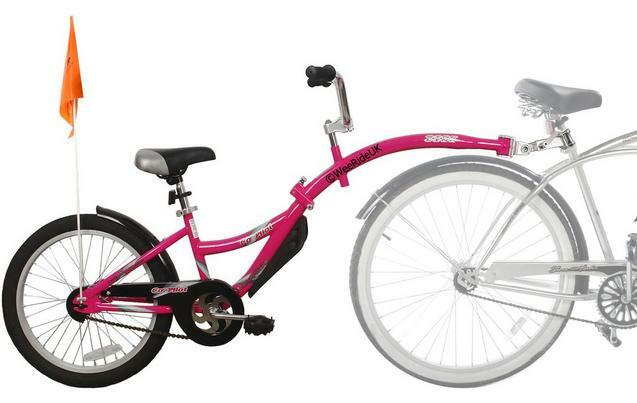 To ride attached, simply unclip the tow bar from the stored position on the adult bike, extend it, and connect it to the receiver, which is mounted on the child’s bike. When the child’s bike is connected, the front wheel is lifted off the ground and a stabilizing bar prevents the handlebars from turning, leaving the adult in control of steering. Children can choose to coast or pedal while they are being towed, making the ride much easier for them. Safety deposit 1000 CZK for 1 day rental (credit card or cash), 2000 for multiday rental (only cash). We accept also euro, dollars, GBP and AUD.